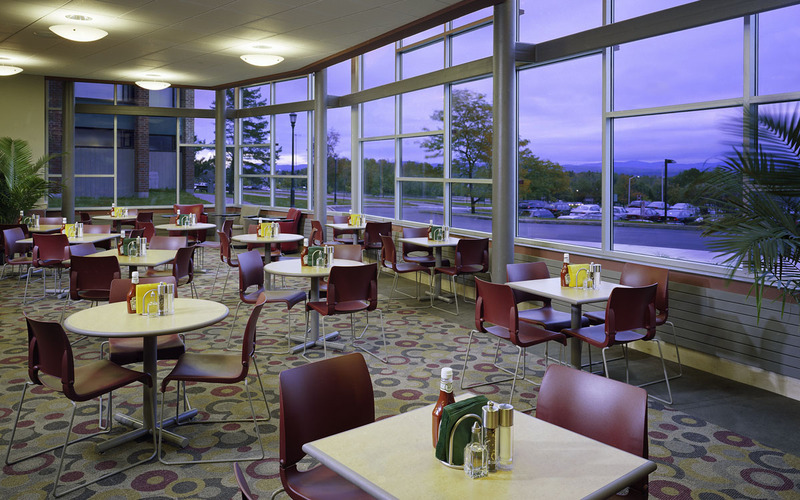 TruexCullins was commissioned by the University of Vermont to renovate and improve the existing dining facility located in the Harris Millis Residence Hall complex. 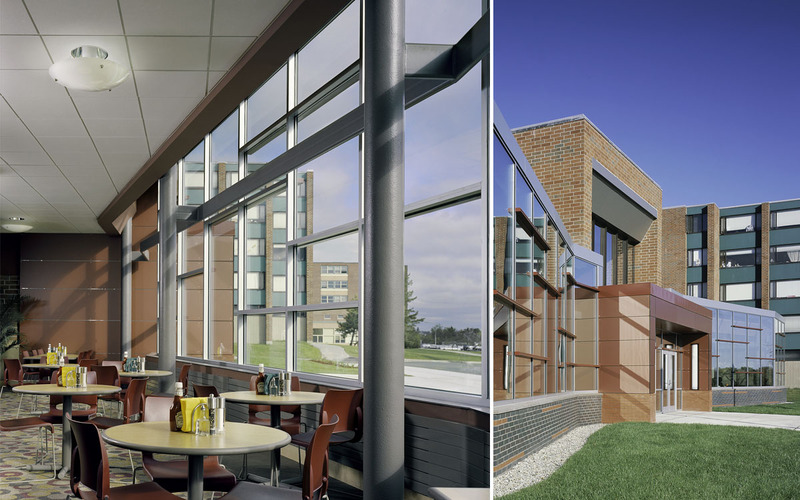 The project provides increased seating for 400, enhanced and innovative foodservice delivery, and a first floor lounge area. 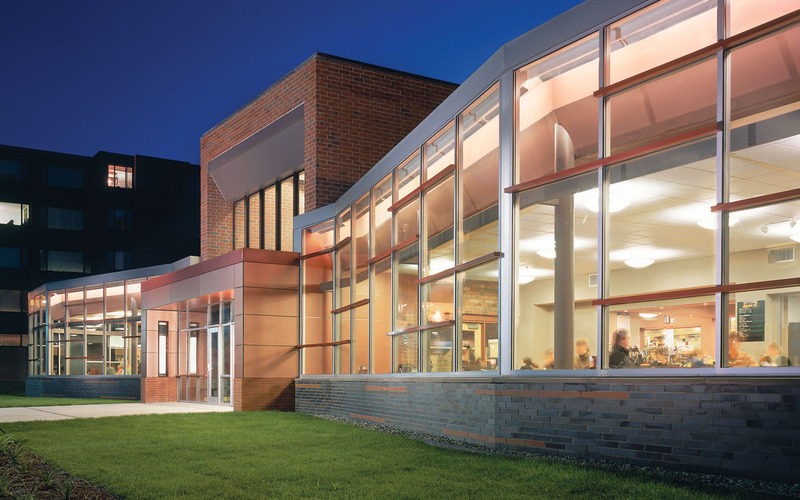 The project included two 1-story building additions and a new double height entry. 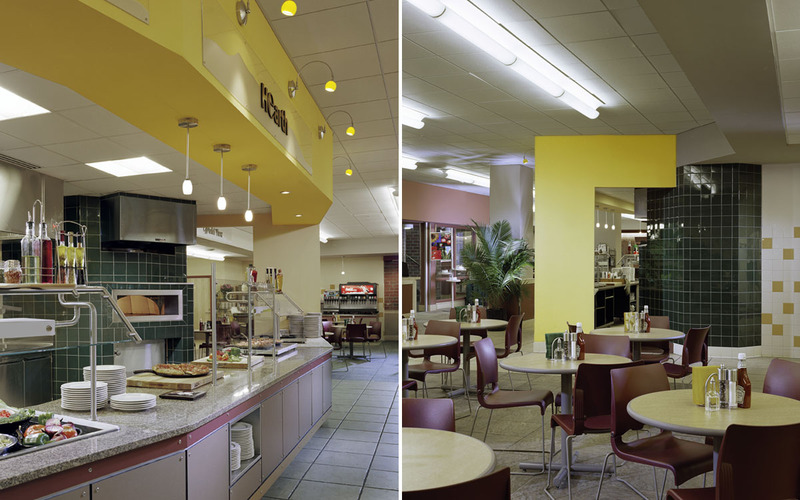 A bright color palette on the interior enhances the student’s experience.